Forget Cinema-Scope, never mind Vista Vision, and toss aside your 3-D glasses because you are about to see the greatest films ever made in the best way possible...through your own imagination. Nothing can top what you see in your own mind, and nothing can top the wonderful sound quality of these amazing programs. 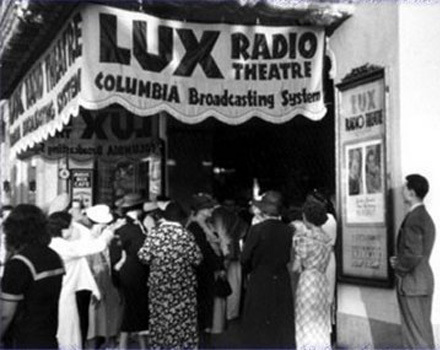 The Lux Radio Theatre was on the air from 1934 until 1955. It spanned both radio and television and featured the biggest stars of the period. Hosted most famously by legendary director, Cecil B. DeMille this highly budgeted show brought the latest Hollywood films into your living room in hour long adaptations. The most fascinating thing about the show is hearing stars who weren't in the original films take over for those who were. Of course, sometimes the original stars recreated their screen performances, but not always. So, instead of hearing Cary Grant in The Awful Truth you'll be hearing a young Bob Hope in the same role. And that's only one example. It's a rare opportunity to compare and enjoy the differences. In this volume you'll be hearing radio adaptations of some of the funniest screwball comedies Hollywood had to offer. We begin with what is known to be the granddaddy of all screwball comedies, It Happened One Night, Frank Capra's brilliantly funny love story about a runaway heiress and the hard bitten reporter who becomes her protector. You'll also hear the aforementioned, The Awful Truth, an adaptation of Leo McCarey's hilarious and frenetic comedy of marital errors. And remember the Warner Bros. teaming of James Cagney and Bette Davis in The Bride Came C.O.D.? Well get ready to hear Bob Hope and Hedy Lamar in those very same roles. And in Lux's version of Here Comes Mr. Jordan you'll have the pleasure of hearing Cary Grant in the role originated by Robert Montgomery. 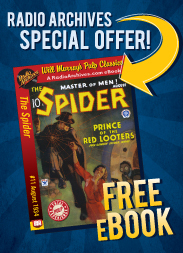 It's a movie buff's dream come true. It's the film aficionado's parallel universe. Sit back and enjoy these classic screwball comedies just as they were heard during the golden age of radio. Close your eyes and picture the movie palace of your choice. Transport yourself to another time; a time of spoiled heiresses, fast talking lovers, dim bulb rebounds, and a slew of great and wonderful characters in support. Oh, and pass the popcorn. Nick Santa Maria, a published film historian and author is the Project Producer for this series. #332 The Bride Came C.O.D.